FBI official Peter Strzok&apos;s first public hearing tumbled into a rancorous and heated political fracas on Thursday, as Republicans clashed with Democrats as well as the former investigator over his anti-Trump texts -- and even threatened contempt for initially refusing to answer questions on the Russia probe. Republicans sharply disputed that assessment, with Rep. Darrell Issa later making Strzok read examples of those texts aloud. Among them, Strzok read one message where he called Trump a "disaster," and another calling him an "idiot." The initial contempt threat surfaced after House Oversight Committee Chairman Trey Gowdy, R-S.C., questioned "how many witnesses" Strzok interviewed before an August 2016 text from Strzok to Page stating "we&apos;ll stop" then-candidate Trump from becoming president. Strzok said he was not able to answer the question based on instructions from FBI counsel. House Judiciary Committee Chairman Bob Goodlatte, R-Va., rejected Strzok&apos;s claim. "Mr. Strzok, you are under subpoena and required to answer the question," Goodlatte said. This touched off a heated dispute. Judiciary Ranking Member Jerry Nadler, D-N.Y., blasted Goodlatte for putting Strzok in an "impossible position," while Strzok claimed he was there voluntarily. Goodlatte said Strzok could only consult with his own attorney, not the FBI&apos;s. Several other committee members chimed in, blasting top Republicans on the committee, with Nadler even motioning to adjourn the hearing all together. Goodlatte, instead, said that at the conclusion of the hearing, Strzok would be subject to "recall to allow the committee to consider proceeding with a contempt citation." 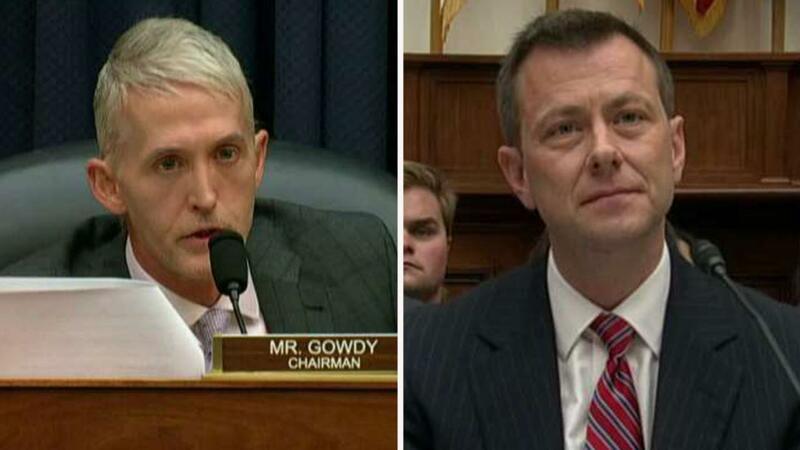 However, hours later after a break in the hearing, Strzok returned to say that he was advised by FBI counsel that he could in fact answer Gowdy&apos;s earlier question. But after Gowdy asked it again, Strzok replied only: "I don&apos;t recall. I&apos;d have to check the case file." "That&apos;s eerily similar to what you said a couple of hours ago. I&apos;m looking for a number," Gowdy said. "You don&apos;t recall interviews conducted in the first week of an investigation you originated?" Strzok maintained that he did not remember, which touched off another heated exchange with Gowdy. It was one of many throughout the hours-long hearing, which began with Strzok asserting that his political opinions were rooted in "deep patriotism." "Like many people, I had and expressed personal political opinions during an extraordinary presidential election. 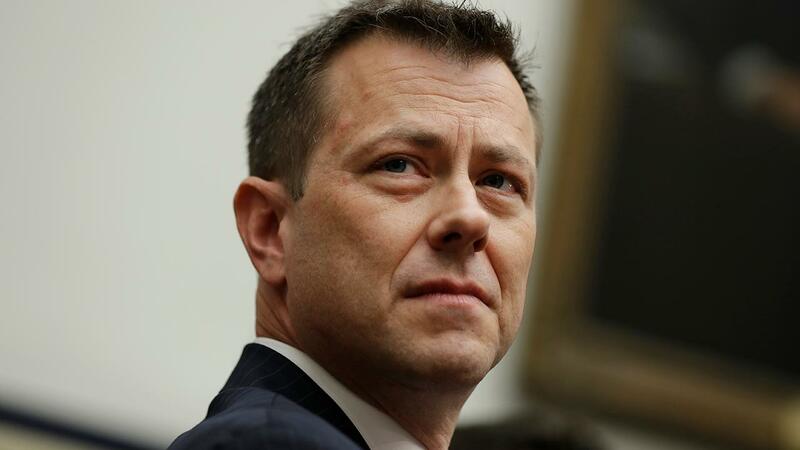 Many contained expressions of concern for the security of our country," Strzok said in his opening statement, adding that those opinions were expressed "out of deep patriotism." Gowdy also tore into Strzok at the opening of Thursday&apos;s hearing, saying he showed "textbook bias" on the job. This later escalated into a heated exchange in which Strzok claimed he was kicked off Special Counsel Robert Mueller&apos;s probe because of "perception," not because of bias. Strzok, in that exchange, also said he doesn&apos;t even remember sending the "stop" Trump text, noting it was written late at night, "in shorthand." He maintained he was not suggesting he or the FBI would take any action to influence Trump&apos;s candidacy. Strzok, getting fired up, later added, "The suggestion that I, in some dark chamber in the FBI, would somehow cast aside these procedures ... and somehow be able to do this is astounding to me." Gowdy and Goodlatte both rattled off a slew of Strzok text messages in which he blasted then-candidate Donald Trump and pined for a Hillary Clinton victory in 2016, to underscore their bias allegations. As Strzok observed opening statements from the witness table, Gowdy expressed disbelief that he didn&apos;t view such statements as bias. Despite inspector general findings, Strzok maintained that bias was not "expressed in those text messages." "I can tell you that those text messages are not indicative of bias," Strzok said. Goodlatte also challenged Democrats to replace Trump&apos;s name in those texts with their own. Democrats, in opening statements, blasted their GOP colleagues. Rep. Elijah Cummings highlighted that several Trump-tied figures have already been snagged in the Russia probe. "These are not allegations, these are admissions," he said, while displaying posters with images of the defendants in that case. Strzok has been in political crosshairs for months over revelations of anti-Trump text messages exchanged with Page. Lawmakers were grilling Strzok on the impact of his political bias on any investigative decisions, though Horowitz ultimately found that despite the politically charged messages, there was no evidence that the bias had an impact on any prosecutorial decisions in the Clinton probe. Strzok was on Mueller’s team until the text messages were discovered. He was then reassigned to the FBI’s office of human resources. Just last month, Strzok was escorted from the bureau and lost his security clearance. Strzok also repeatedly said he regretted how his text messages were phrased, noting that they should be put into context. During his private deposition last month, Strzok also said he regretted sending the text messages all together. Strzok’s public testimony comes after his appearance on Capitol Hill last month, when he interviewed with the committees behind closed doors for more than 11 hours. 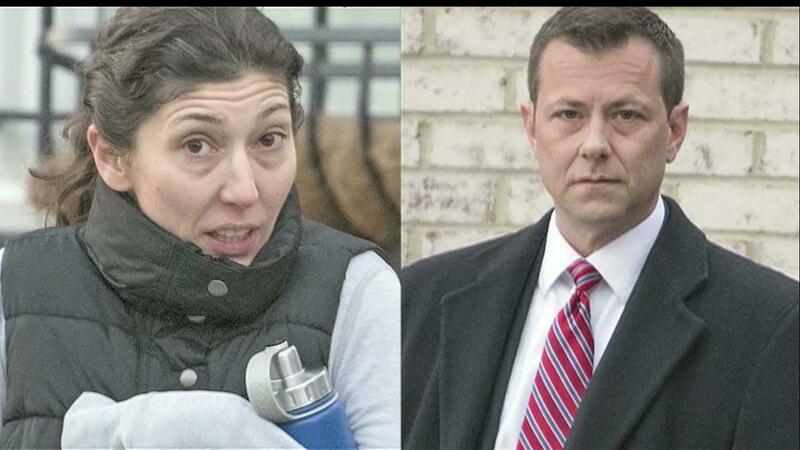 Strzok was romantically involved with Page, who resigned from the bureau in May. Page also served on brief detail for Mueller, but returned to the FBI last July where she served in the Office of General Counsel. This week, Page defied a congressionally issued subpoena to appear Wednesday for a closed-door deposition before the same committees. Page’s legal team, late Tuesday night, said she would not testify because she needed more time to prepare. House Republicans sent a letter to Page’s attorney on Wednesday, laying out three options for Page: show up at Thursday’s public hearing alongside Strzok, attend a closed-door deposition on Friday or face contempt of Congress proceedings beginning Friday morning. Goodlatte, R-Va., said Thursday morning that Page, through her attorney, has agreed to appear for a private interview on Friday, voluntarily. Fox News’ Gregg Re and Pamela K. Browne and The Associated Press contributed to this report.